The Kursaal Bern provides a wide range of top quality offers and attractions, backed by superior service. The unique all-in-one attractions include the state-of-the-art congress centre, the 4-star superior hotel Allegro (171 rooms) with spacious fitness zone, the award-winning fine dining restaurant Meridiano (16 Gault Millau points and one Michelin star), an Italian and an Asian specialty restaurant, the well-known and beloved cocktail bar Allegro as well as the Grand Casino of Bern – all under one remarkable roof. 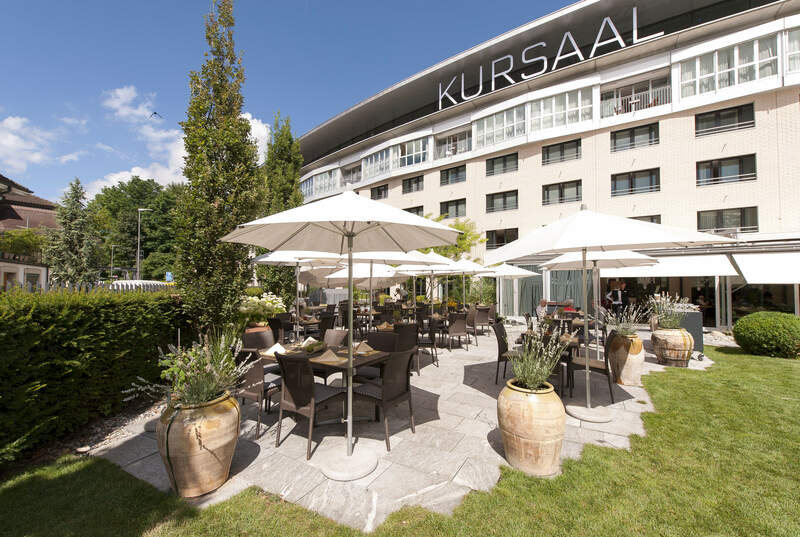 The Kursaal Bern offers not less than 30 rooms for events, conferences, seminars and small meetings, each one enhanced by its own attractive ambience. Therefore it is the largest conference complex and event venue throughout the entire Bern region. 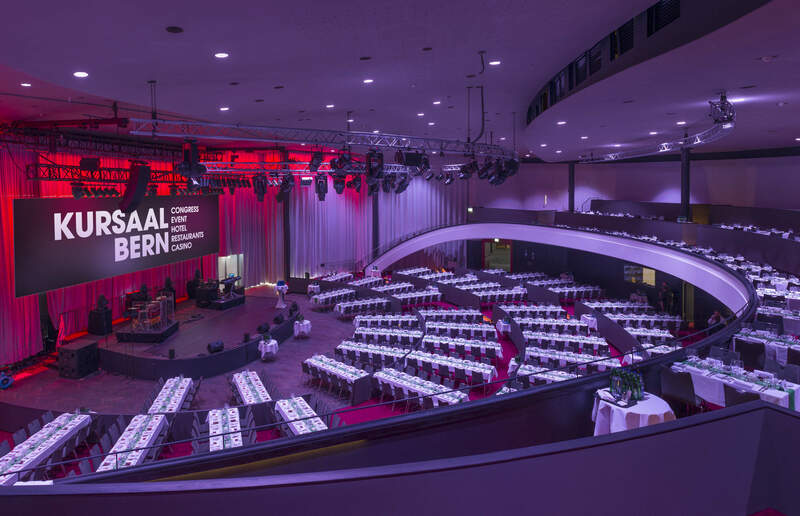 Whether it is a congress with up to 1500 participants or a discreet meeting in a less spacious setting – the Kursaal Bern has the fitting solution. 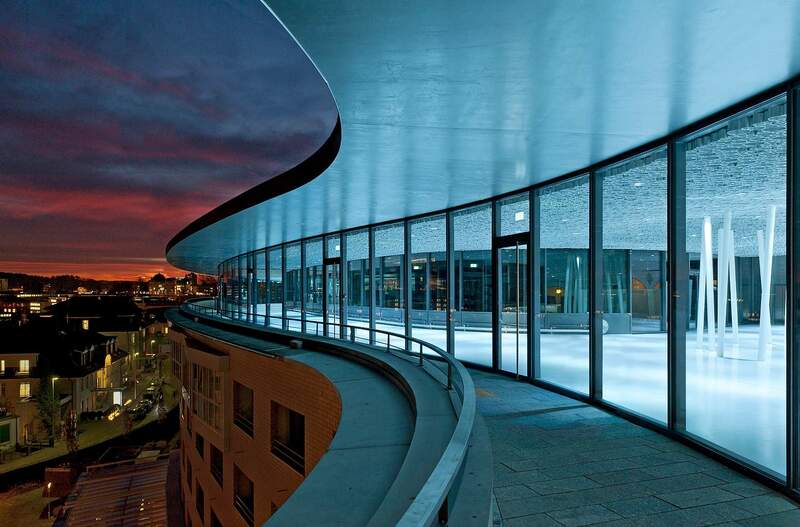 The unique proposition is rounded off by the central but scenic location in Switzerland's captivating capital. The city centre is only a five minute walk away plus there is a tram stop just in front of the building. The breathtaking view extends from the historic old town (a UNESCO World Heritage site) to the Bernese Alps.